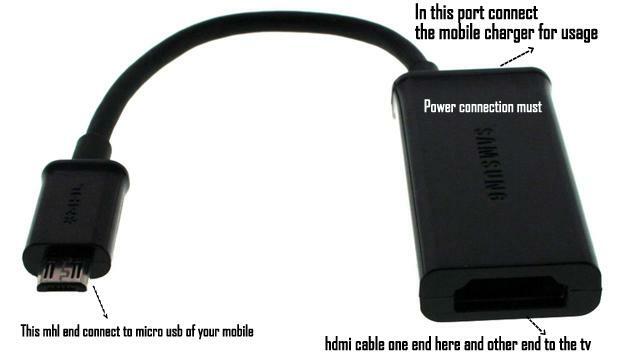 Step 4: Connect the power cable with S3 adapter which was provided with your phone and plug it into a power outlet. 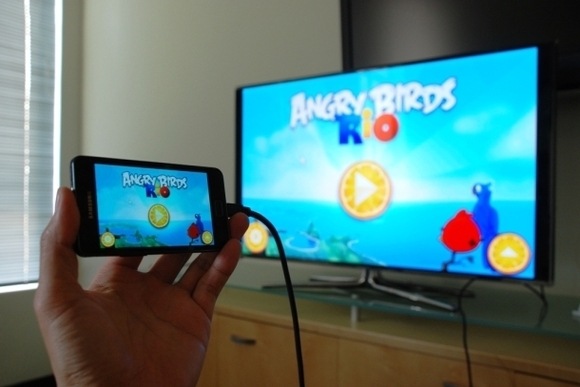 That's it the process is completed and you can find the replica screen of your mobile in the wide screen Television. NOTE: 3rd party MHL adapter will not work with this.